Now that it’s starting to get cool out and most of us have already had our first (and second… okay and maybe third) pumpkin spice lattes of the year, it seems that the November 4th release date of Marvel Studios’ Doctor Strange is nearly upon us. 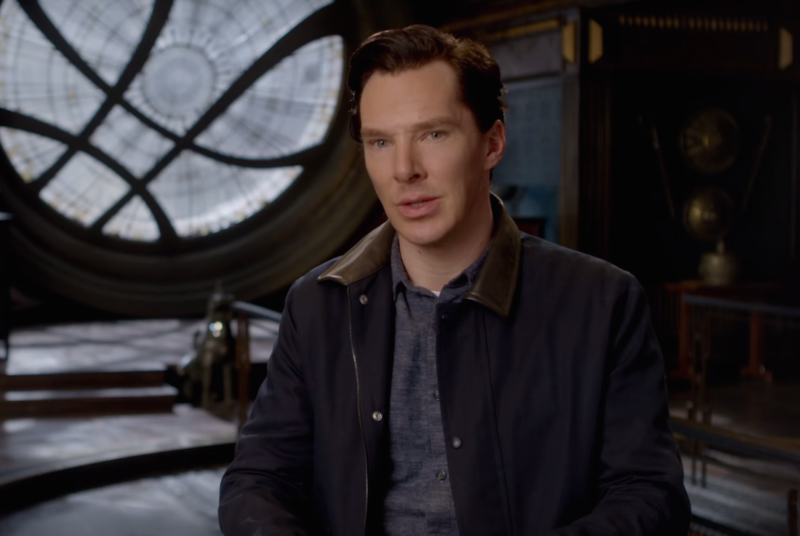 To get fans even more hyped up, there’s now a brand new featurette for the film. In the video, which is only a couple minutes long, the cast and producer Kevin Feige share more about the film. We already know that Stephen Strange is a renowned surgeon who suffers damage to his hands after a car accident and undergoes many procedures to get it back. Now we also know that Strange spends his last dollars on the flight to Nepal, which leads him to the Ancient One and his destiny as a sorcerer. There’s also a bit more about the villains, who want to break the barriers between dimensions so that they can spill into one another (which also explains the somewhat Inception-y visuals in the trailer). This would effectively destroy the universe – because, basically, that’s what bad guys do. The humor might, in part, be due to Dan Harmon’s recent involvement in the film; However, there’s always at least a little bit of humor in Marvel’s films. With the somewhat hefty 130-minute runtime of Doctor Strange, we’ll definitely want plenty of laughs to balance out what look to be stunning visuals. We can’t wait till November 4th to see it all play out!